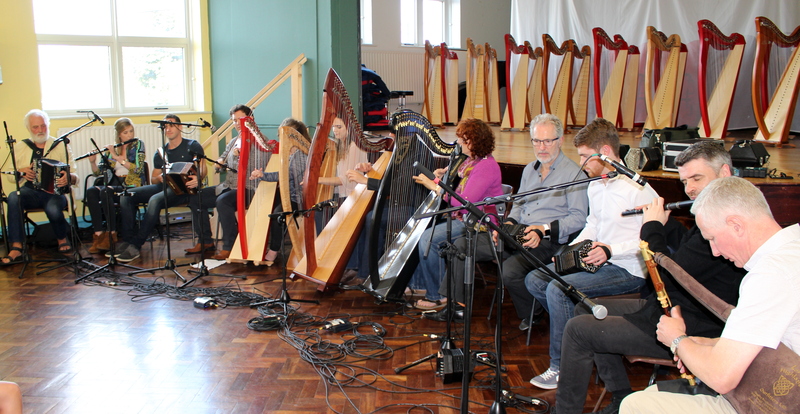 Top notch trad musicians descended on Co Laois at the weekend, as part of the 3rd annual Music Generation Laois Trad Summer School. Well-known musicians, Cormac de Barra, Maire Ní Chathasaigh, Brendan Begley, Noel Hill, No llaig McCarthy, Eamon Murray, Harry Bradley, Aidan O Donnell, Denise Boyle, Siobhan Buckley, Aine McQuaid, Sean Hill and Barry Leonard were among the musicians who came to tutor young musicians from Laois and surrounding counties. The Trad Summer School, which took place from the 15-17 of July, attracts lots of young trad musicians, who avail of the wide range of classes on offer, including uilleann pipes, harp, concertina, button accordion, bodhrán, fiddle, tin whistle and trad flute.